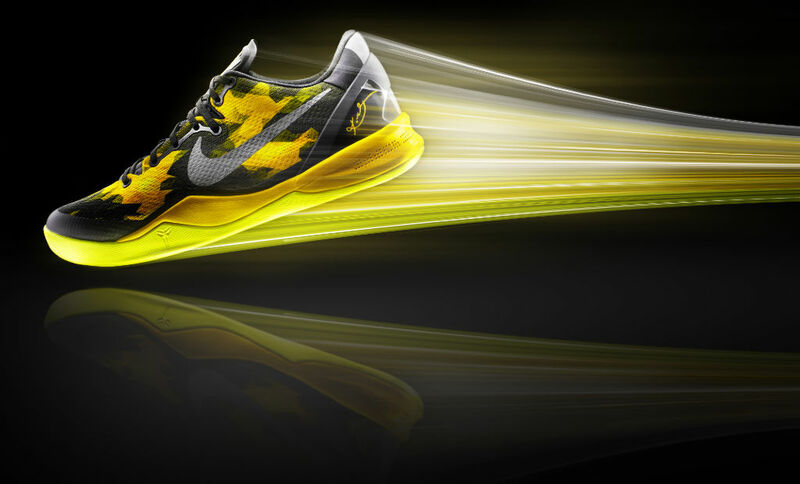 Blending speed, precision, vision and versatility, Nike Basketball and Kobe Bryant officially unveil the Kobe 8 System. The Kobe 8 System brings together performance innovations to create Kobe's lowest and lightest performance model to date at just 9.6 ounces in a men's size 9. 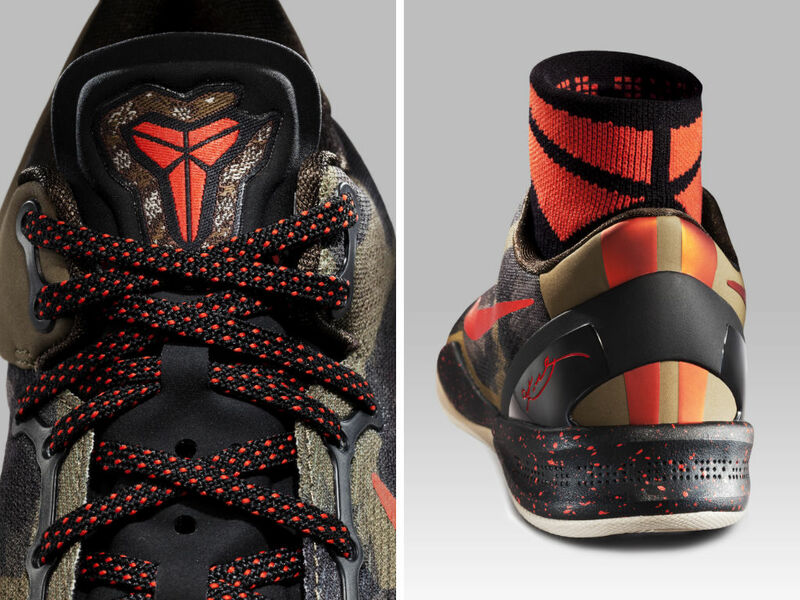 Graphic snakeskin print was inspired by Kobe's on-court alter ego the Black Mamba, as well as the Chinese Year of the Snake in 2013. 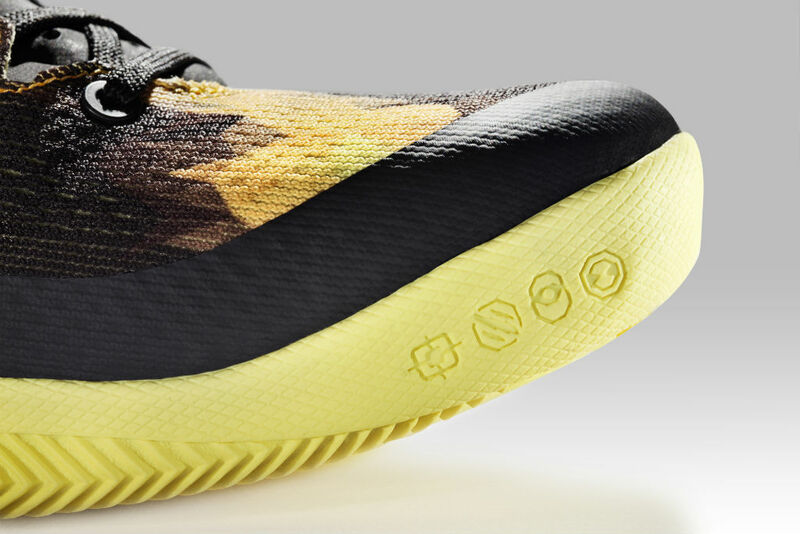 At the head of the Kobe 8 System project was Nike Performance Footwear Creative Director Eric Avar, who worked closely with his team and Kobe himself. Kobe requested a shoe that acts as an extension of his foot, complimenting quick performance while staying low to the ground. "I’m always focused on improving my game, to perform at my best. 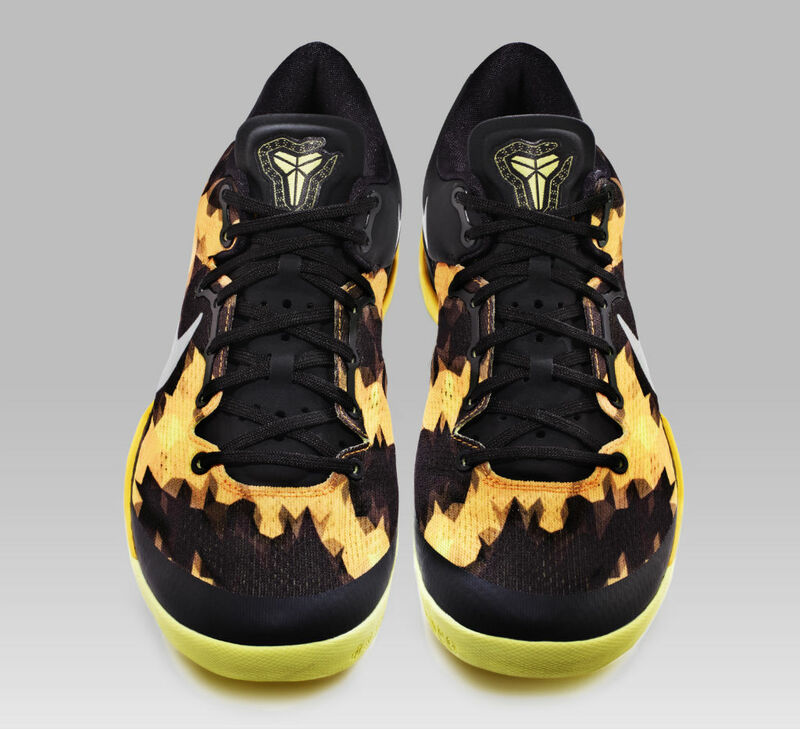 I want my shoes to mimic the speed of my game," Kobe said. "By shaving fractions off the height and weight, it allows me to play faster with more control so I can maneuver across the court – I want to feel like I’m moving at the speed of light." 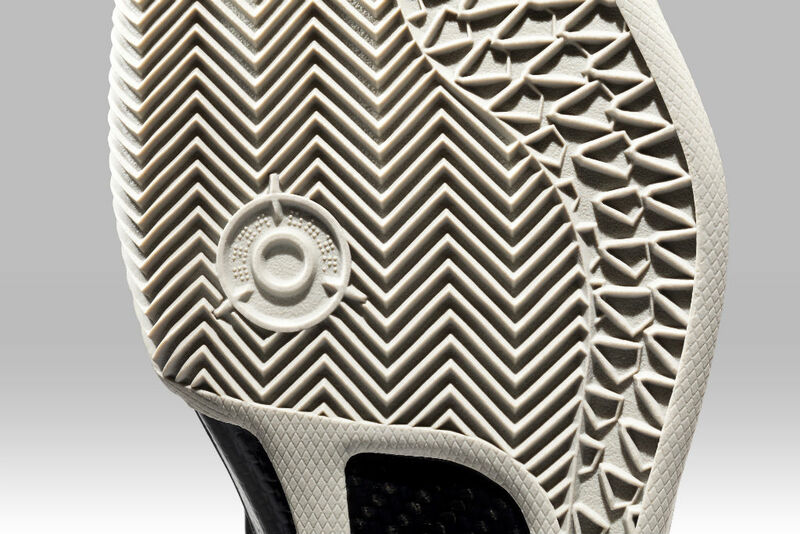 Responding to athlete feedback, the design team implemented Engineered Mesh for the first time in a basketball shoe. The material creates an ultra-lightweight fit that is 90% mesh for 360-degrees of breathability and tightly woven strength for natural flex. Additionally, no-sew synthetic overlays on the toe and lateral quarter panel enhance support. Full-length Lunarlon in the midsole provides lightweight, low-profile cushioning and allows for greater stability. A one-millimeter rubber outsole that combines classic herringbone with snake scale-inspired traction uses less rubber than traditional soles for durability and multi-surface performance. The 3-D anatomical heel counter provides a sleek, locked down fit. The Kobe 8 System in Black/Sulfur will be available for $150 at stores globally and nike.com starting Thursday, December 20. 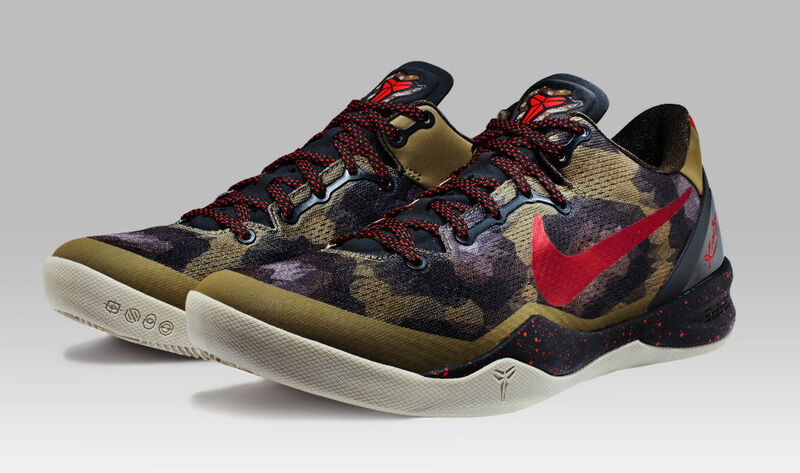 The python-inspired colorway launches in Greater China on January 12, 2013 and in North America on February 2, 2013. 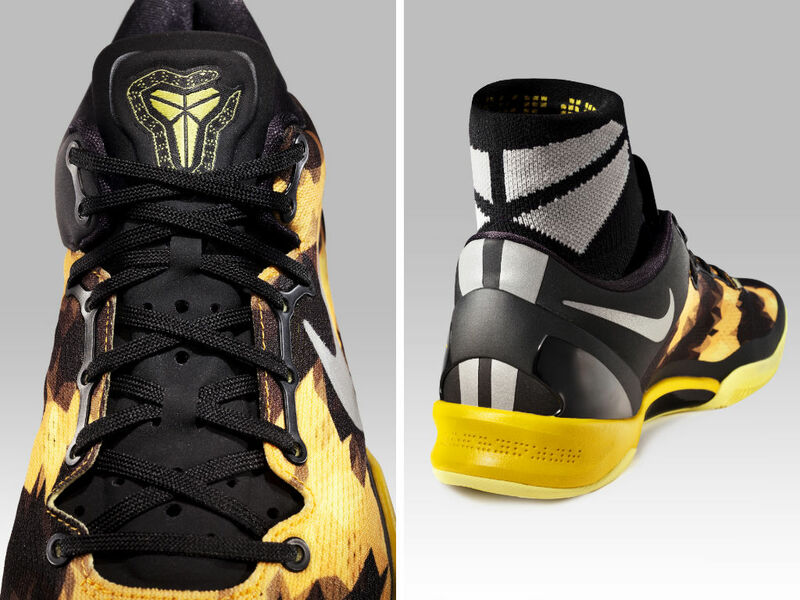 Beginning December 4, consumers can design, save and share the Kobe 8 System at NIKEiD.com. On December 20, you can purchase your design. NIKEiD will offer various performance and style customization options, including four midsole options, Lunarlon or Zoom cushioning inserts and Nike+ kits for those who want to track and measure their game.